Last time my husband went away, I indulged in a 3 day romcom fest. 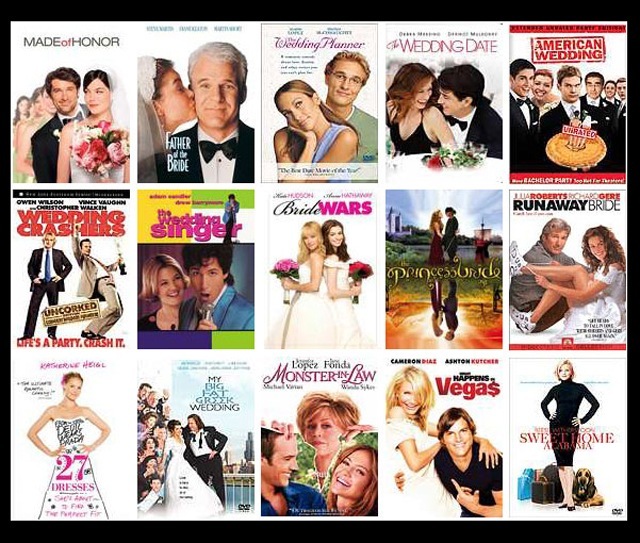 Now, romcoms are not generally known for their Oscar-worthiness. They won’t challenge your mind or address current social and political issues, but they do make you feel good. The feeling of being in a warm, fluffy, pink cloud and knowing that everything is going to end happily is really re-assuring. Am I being brain-washed by popular culture whilst I am in my romance bubble? Almost definitely. The cumulative effect of this wall of romance is that for days afterwards I find myself wondering why my husband has not surprised me with flowers recently (or indeed, ever). I spend hours perusing websites online for the perfect, yet functional, eternity ring and while I am supposed to be working, find that I am daydreaming about romantic weekends in boutique hotels with champagne and room service. I do not stop to think about how this could be achieved in any form of reality with our kids, lives and budgets, I just mooch around wondering why, why, why..???? I forget that most romcoms are about meeting someone – and I have met my someone – and do not want anyone else. I conveniently forget that I am in fact a bit of an awkward, demanding bugger, (and also, maybe a bit of a control freak when it comes to organising going away)… I am imagining in my head what would happen if my husband announced he had booked a romantic weekend away… me saying ‘Oh, you’ve arranged a weekend away, wow, brilliant’ (thinking, breathe, breathe, it’s ok, he will have arranged someone to look after the kids, the dogs, the cat… it’ll be nice, don’t worry, he won’t have booked somewhere awful or cheesy, oh my God, what on earth am I going to wear? I only have those two pairs of jeans and one of them has a stain on it and most of my tops are so old and stretched that it is hard to tell what shape they are supposed to be…). Maybe an evening at home with wine and crisps in front of the telly isn’t such a bad option after all? But I won’t give up on the dream entirely, because in the last few weeks, my husband has brought me flowers twice, (three times if you count the rose I got after running the half marathon), and you know what, it did give me a lovely warm fuzzy glow.